Fernando Torres says he was happy with his performance in Chelsea's goalless draw with Stoke and has put last season's disappointment behind him. The Spanish striker provided some bright moments in a largely uninspiring Blues display at the Britannia Stadium but could not break the deadlock against the hosts. 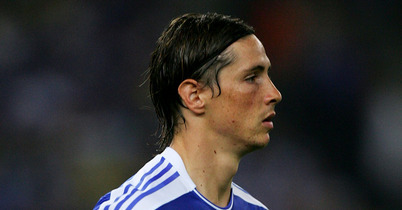 However, after a turbulent campaign last season which saw him fall woefully short of his top form, Torres claims he is feeling positive. He believes Stoke set out to defend and the result was always likely at a stadium where most teams struggle to break down the home side. The £50m striker said: "It is not easy to play against Stoke and this is only the first game of many we have to play and we have to start thinking about the next one. We are happy with the performance but not the result. We had some chances to score and two very clear penalty situations, but we had enough chances so it is no excuse."